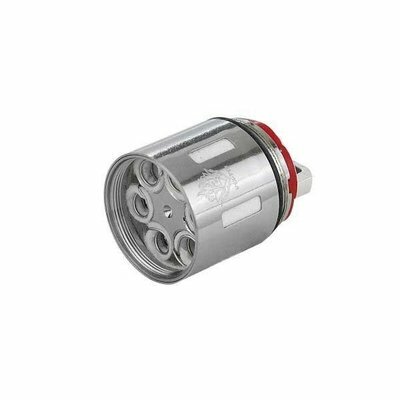 The SMOK TFV12 V12 Replacement Coil brings the world class and industry leading coil designs implemented in the TFV8 series to another level, with V12 versions of the popular X4 and Q4 coils range of 60 to 220W and 60 to 190W, respectively. 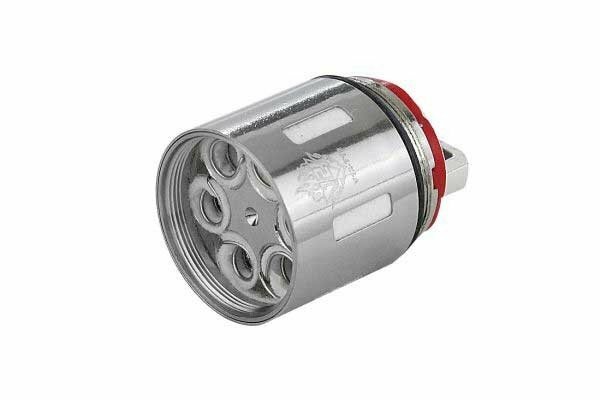 The V12 RBA Head is one of the most capable in it's class, with an 18mm diameter deck that integrates a two post, dual terminal design with each terminal measuring 2mm in diameter. Ample airflow feeds into the V12 RDA, with dual 8mm by 5mm internal airslots while wicking is efficient due to the unified wick port designs. The V12 RBA-T Head is a Triple Coil RBA head with a postless build deck and large central airflow channel. The RBA-T has side mounted hex screws terminals located in the build deck and positive contact, with unified wicking ports.